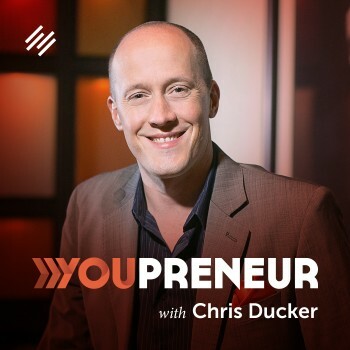 I’ve just listened to the episode about building an email-list (Episode 034). It is really inspiring and mindset-shifting. Thank you Jerod Morris and Jonny Nastor. I loved especially the reminder to think of your existing people on the list and also the examples of about what people can be interested in and how you can take the list gradually to a higher level (e.g. by a membership). Thank you for your comment Monica. And since it’s been a while since this episode ran, we figure it’s a good time for a refresher, or to get our new listeners caught up. I also provide a new podcast recommendation, which is especially relevant to this topic (so don’t miss it). Welcome back to The Showrunner. I am your host, Jerod Morris, VP of marketing for Rainmaker Digital. This is episode No. 65 of The Showrunner. I am hosting solo as Jonny Nastor, my usual co-host here on The Showrunner, is finishing up his European work-cation that he is on. He will be back next week. We will have a brand new episode for you. Jerod Morris: But I’m excited about this episode because we get to dig into our archives and bring back one of our most popular, one of our most useful and helpful episodes. I was reminded of that this week by a comment that was left in our Showrunner Podcasting Course Facebook Group. This comment was left by Monica. Monica, we really, really appreciate you leaving this comment. 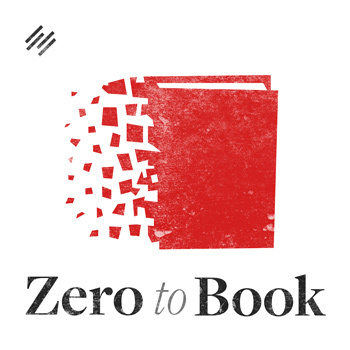 We want to rerun this episode because we really cannot stress the importance of email enough, of having a great incentive to get people onto your email list and then engaging them once they’re there. Then what you can do with folks when they’re on an email list and even when you take them further, as Monica mentioned, by getting them into a membership and doing things like that where you can really start doing some next-level type things. This is a topic that we’ve been talking about a lot inside of Digital Commerce Academy. 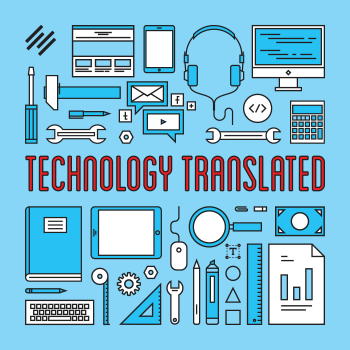 We talked about it recently on The Digital Entrepreneur, as you’ll hear a little bit later. There’s several good reasons for this, number one being email continues to work. Those of us who are practitioners of this understand the power of emails. There’s lots of bright shiny objects out there that can distract us. But we need to remember that, for building an audience–and especially for eventually executing commerce or actually selling stuff to that audience–having them on an email list is still the best way to do that. There are right ways to do it, and there are wrongs ways to do it. In today’s episode, you’re going to find out some next-level tips for building your show’s email list. If you’ve never started an email list before, or if you still don’t have one, go back and listen to Episode No. 33 because we talk about why email is your show’s mandatory companion. We figured that most of you have. This is going to be a reminder and a refresher for some of you. For others of you, some of our more recent listeners, this will touch on some new areas that maybe you haven’t thought of yet. For example, like I talked about, why you need to offer strong incentive to encourage signups, the importance of communicating urgency, scarcity, and usefulness–that’s so important–and why you need to be bold, but not annoying in suggesting that people sign up and how to tow that line. Also, why you need to be consistent in requesting subscriptions and a lot more, including should you use a pop-up alert or not use a pop-up alert to drive subscriptions. We’re going to talk about all of that here on this episode of The Showrunner. It was episode 34. We are rebroadcasting it here. The other reason why email has been a hot topic for us at Rainmaker Digital is because email is now fully integrated into the Rainmaker Platform, which is really exciting. 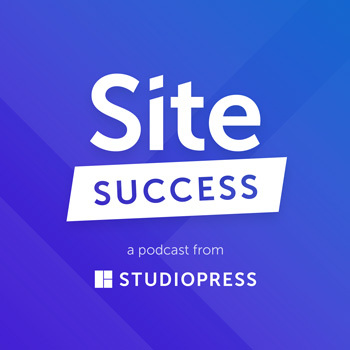 Having integrated email inside of the platform where you are hosting your podcast and building out all of your content–and then also perhaps building your courses, your free courses, your paid courses–you can do so much more with email and marketing automation when it’s all built in there together. We’re really excited. It’s called RainMail. We’re really excited about what it will mean for the future of the Rainmaker Platform. I’ve already started playing around with it on a couple of my sites. If you want to check that out, go to RainmakerPlatform.com. Now, when you start your free trial, you can actually get in there and use RainMail, previously known as the Rainmaker Email Service, so that you can do all of this inside of your platform. It’s really great, very useful. These tips that we’re going to talk about in this episode, you can use these with RainMail, which is what makes it so great. All right, everybody. With that said, I will now allow myself and Jonny to take it away as we replay what we talked about in episode 34. Here are some next-level tips for building your show’s email list. Jerod Morris: All right, Jonny. Last week, we laid the groundwork for this episode. We reran episode 10. We talked about the basics of why you need to build an email list. Let’s go in-depth now, and let’s talk about how you really start growing your email list. And not just growing it in numbers, but growing it in engaged audience members who are going to accept your calls to action, take action on them, end up sharing your list with other people so that your list becomes this almost self-growing thing that’s out there growing your podcast audience, and hopefully, eventually growing your business as well. When I was trying to think of the best way to start this, I actually think it almost requires a step back when it comes to building your email list. We’ve talked about this a lot on the show. With your podcast audience, subscribers, same thing with your list, is that you can spend so much time focusing on the next subscriber that you forget about the ones that are already there. That’s why, to me, the first thing people need to think about when it comes to building their list is ensuring that you’re actually giving your subscribers what they came for, at a minimum. Now, obviously, what you really want to do, the ideal is to over-deliver. You make certain promises for why people subscribe. You want to over-deliver on those. Surprise people pleasantly, as opposed to surprising people negatively because you don’t deliver on those. There’s no sense in building your list if you’re just going to turn people off of it and if people are just going to be disappointed because you’re not even doing what you say you’re going to do. Something else that goes along with that, that I’ve seen a lot of success with personally is really going out of your way to show appreciation for your long-term subscribers, the people who were there with you at the beginning. Again, sometimes it can be natural and easy to take those people for granted a little bit because they’ve been around for so long. I think it helps keep them locked in and engaged. Those are the folks that are probably going to be most likely to share your stuff. They probably have the best understanding of your stuff. It also shows goodwill to your new subscribers that you appreciate the people who sign up, you appreciate the people who subscribe, you go out of your way to give them value, to show them appreciation. That just helps this cycle that we want to go on, where you’re making a compelling promise to get people to subscribe. You’re delivering on it. Hopefully you’re over delivering on it. That gets more people to subscribe. It gets the people already subscribing sharing and helping you grow your list as you go. That’s my opening statement on this topic, a general mindset-type thing. I’ve got a lot of tactics to share as we move forward. Any big-picture thoughts that you have to start out this topic? Jonny Nastor: The big one is what you started out with, which is we always want more, but we sometimes forget to focus on what we have. I’ve talked to so many people, endlessly. I’ve done this myself in the past. You start building a list because everybody knows they should. They start their show. They start building a list. They have 62 people on it, and they want to know how to get more. The question always is, “Well, Jon, how do I get more people?” It’s like, “Well, what was the last thing you sent those people?” It’s usually nothing. Besides the welcome email that’s just like, “Hey, you signed up. Thanks.” That’s it because they don’t feel that they have enough people. For the mindset shift, you really have to realize that these are actual people, human beings like yourself, that decided with all of the options to put your email into so many crappy incentive boxes on different websites … you chose only a couple to do it with. With those ones, you’re not doing it because you expect that 500 other people did it, 1,000 other people, or 10,000 other people. You just did it because you wanted the connection with that person that you wanted that connection with. It shouldn’t matter that, even if you are the only person on that list, that they should be taking as much care with you and reaching out to you and helping you as much, educating you, entertaining you, all that stuff, as if there was thousands of people. That’s really, really, really important. It’s the whole audience of one. This is literally your one person now. If you don’t take care of that one person, I honestly don’t think that you can get to 100 subscribers and 1,000 subscribers. It’s just really, really important. Also, if all of the sudden somebody gave you access to 10,000 highly focused people on an email list and told you to write your very first email ever to all of them, you’d probably freak out. I just really wanted to hammer that part home that those people are absolutely important. Sixty-seven people in a room wanting to listen to you is a good-sized room packed with people. Please do not ignore them. Please do not just focus on getting more, but engage those people fully. Now, let’s learn how to get more. Jerod Morris: Did you just defend humanity there? I think you did. Jonny Nastor: I defended that one lady who decided to give you her name and email today. I defended her because people just even get a bit nervous and stuff sometimes. Like, “Am I going to end up on a bunch of other lists? Is this going to get sold? Is this going to … ?” You know what I mean? They’ve trusted you. That’s trust. The other part of the trust is that you’ve told them you’re going to give them something. You have to also do that. It’s like a contract. They’ve signed off in the beginning. Then you just ignore them for two months until you can somehow get 100 other people to sign that contract. That person, that first person, doesn’t know that. They’re disengaged all of the sudden. They don’t even remember who you are in two months when you decide to email them. Then the relationship’s ruined. I guess that’s defending humanity–at least that one person, that one human. Jerod Morris: Doloris, we’re going to call her Doloris. Jonny Nastor: Doloris. Yeah, Doloris. She really wants to hear from you. Jerod Morris: She does. I love what you said about using the early time as practice because so often we have a hypothesis for what our audience wants and for what’s going to work. Typically, that will be 80 percent, 85 percent right. Hopefully we’ve done a little bit of homework. We know our audience. But there are always going to be those little extras, those tweaks, those little surprises that we can’t quite realize in the beginning that you only get by putting out content, having it interact with you audience. That’s the only way that you can really learn those. The quicker you learn those, the better. I don’t think there’s a shortcut beyond just putting out content consistently and gauging the feedback of the audience. You’re so right that you’d rather do that while you’re growing the list so that, when you do have the bigger room, your message is much more honed. Great point. Jerod Morris: Let’s talk about incentives now. Obviously, to get people to join, there have to be incentives to join. When we talk about this in a context of a podcast, the most obvious value to deliver folks is email updates of new episodes. That’s the obvious one. Some people will subscribe to that to get the updates in your inbox. I don’t really consider that a huge incentive to join an email list for a podcast because, frankly, I don’t count on email to give me alerts of new podcast episodes. Typically, I just go into my podcast player and see what’s there. There’s got to be something extra. 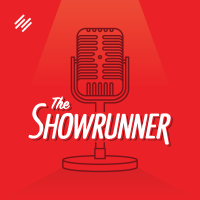 Like with The Showrunner, for example, our incentive to join is the autoresponder series about the 4 Essential Elements of a Remarkable Podcast, which you can get if you go to Showrunner.FM. For The Assembly Call, what I’ve used as the incentive is our postgame analysis email, which could be a really good blog post. We do it only to email subscribers. That was a strategic decision, understanding our spot in the market, where there are many other blogs out there that have cornered the market on blog content and freely available public content. We weren’t going to win that battle. What there wasn’t, was a big email newsletter. That was the niche that we fit in. If we can really come out with a valuable newsletter, we can start gaining subscribers. This can be our niche. It can be the way that we build a nice powerful audience when there are already some out there, we’re the little guy, and we’re never going to have the resources to do it. This analysis email for postgame shows, we started sending them out the day after. We don’t make it publicly available at all. You have to get on the email list. It has been a huge incentive for us to get people to join. Again, it was a tough decision because you think, “Man, we could post this publicly, be able to share it publicly.” Certainly, there would be some audience gain there. 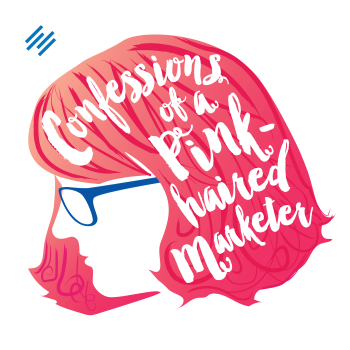 But ultimately, in the long run, building a really engaged email list, which we’ve done, choosing that incentive and making it email only has really, really worked for us. I think it’s important when you think about building an email list for a show that a) it’s got to be about more than just your show updates, and b) it’s got to be so valuable, I think, to the point where it’s almost uncomfortable for you to not put it out on the blog because you fear what you might be missing out on in that free public attention. What do you think about in terms of incentives? Jonny Nastor: Didn’t you just do like a member’s area? Jerod Morris: We did. We just started that. That’s new this season. 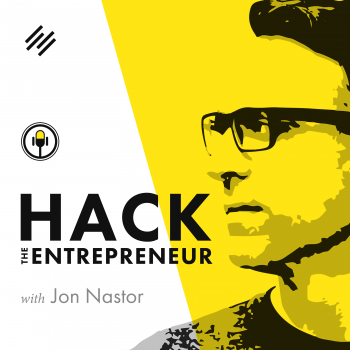 Jonny Nastor: Which is an amazing way to build an email list. Jonny Nastor: That’s, basically, it’s free, but it’s not free because they have to give you their email, a good email, so that they can get access. Jerod Morris: I will say, that’s next level. We’ve now been building our list for a year and a half. We have what I would call mature subscribers that have been with us for a while. They know the postgame email. They still get that. But now, to go to the next level, we wanted to give people something extra. We have a free content library with the 50 Greatest Hoosiers. We’ve made our postgame chat subscriber only. It’s basically the way for our closest audience members to self-select and say, “Hey. I want more. I want to go to this next level that you’re giving people.” Again, this is all stuff that could be free, but we’ve chosen to put it behind the membership wall. Jonny Nastor: That’s obviously going to be different for every show. Jonny Nastor: The life cycle of your listener is going to be different for every show, meaning that somebody who discovers Hack the Entrepreneur … and I’ve learned this now over the past 14 months, that people who listened to my show, 95 percent of people, 90 percent, maybe, of people who listened to my show last November and listened to all the shows that I had up until that point, fell off at some point. It’s just too much, and they just move on. People move on to other shows. That’s just how it is … unless you can get them onto an email list. I have lots of people on my email list who still open every single email and respond to them, but don’t listen to most of my shows anymore. It was the way that I grabbed them. That was it. One thing, they might not listen to 10 podcasts a week, kind of thing. Just at one point, they found my content via some way they wanted to find my content. It brought them in to me. Now they’re part of my audience, which is amazing for other stuff that I do. Jerod Morris: And they hang around a lot to get your weekly newsletter, I would assume? Jonny Nastor: Exactly. That’s one thing. Then, I’ve had the problem where my newsletter hasn’t evolved in any way–or at least not to me it hasn’t. People are still opening it. People who open it every week just continue to open it every week–that’s just how it is–and reply to it. It’s amazing. But now, there’s this cycle where they’ve got to go further. That’s where the book comes from and such. I know that I’ve lost a lot of people because I never incentivized the list until two and a half weeks ago, now, is when I finally started–meaning that I get hundreds and hundreds of people coming to my site every day now. There just was hardly anybody joining the email list because there was no incentive. I was like, “Well, I’ve got to grab some of those people because I know that they’re going to be there once, maybe twice from the show. Then it gets lost, and they move on to the next thing.” That’s just how humans work. I have created some very, very, very, very simple and basic incentives, which I’m only saying it that way so that when you’re out there listening you don’t think that I have this team of designers and content crafters. I literally didn’t. I went to Canva one night. I was actually in a hotel room, two and a half weeks ago, and I couldn’t sleep. Everybody else was asleep. It’s like 12:30 at night. There I am just on my laptop, my headphones on, put some tunes on. Jerod Morris: I love those nights. Jonny Nastor: Yeah, I literally just like, “I’m going to do it. I’m going to create my first incentive.” So I did a Top Ten Hacks. It’s literally a PDF it came out as. I went to Canva.com. It’s completely free. I pulled from transcripts, the hack from each of these people, shortened them so they would fit, picked the Canva that looked good. I think it’s a slide show one or something. I just went through, and it took me like 40 minutes. I’m like, “Good enough.” Put it into PDF, upload it to the site, set up a little opt-in for it, and it works. More and more people have signed up to my list now. Then I went a bit further about a week after that. These show notes, which I’ve shared with people within the course, my interview sheet that I use, the PDF that I created, that I fill out totally, I had gotten some emails and some Tweets from people like could they get a copy of one of them. Just randomly, like this one, “I’d really love to see what you wrote.” I’m like, “That’s weird.” It’s like, “You haven’t seen my writing, that’s for sure,” because it’s just gibberish for me. With enough of those requests … actually on one show, I said, “If anyone is ever interested in these, just email me, Tweet me, something. Just let me know. I’m going to figure out a way to get these to you.” I got some responses, and I was like, “Well, that’s pretty cool.” So now I literally take a picture with my phone, of my show interview sheet. I post it with the show notes with a button. You have to click the button, pop-up appears, give me your email address, and you get the thing emailed to you right away. If they’re already on my email list, it just goes straight to them. They don’t get added to the list again. Otherwise, they just get put on to my regular weekly newsletter. I’ve gone from getting two to five people signing up to my email list a day to 15 to 20 people a day in two weeks. My goal is 25. That was my goal two and a half weeks ago. “I’m going to get 25 people a day.” I still need to figure out some more things. I’m putting together, right now, like a resources for entrepreneurs. I just literally went to the second most-visited page on my site, which is my resources, like tools I use page. I’m just going to put it together in a PDF, add a bunch more of just free cool tools that I use all the time. In my Facebook Group, my insider’s Facebook Group, I just ask people for ideas of resources. They came up with a ton of other great resources that they use every day. My second most-visited page, it’s right at the top. If I can offer a PDF of the 30 top free ones right here, people are just going to download like crazy and get added to my list. This goes back to a few episodes ago, the whole getting over the repurposing of content and thinking that just because something … I guess beyond that is just undervaluing what you have. What you have that you think, “Why would somebody else want this? 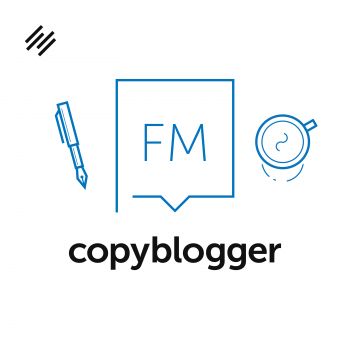 Why would somebody else ever … actually, Johnny B. Truant, who used to write for Copyblogger and writes full time now, I remember him writing some posts because he had some long, and some sort of not even that long blog post, just ones that got super, super popular. He took his most popular ones. He literally put them into Kindle format, posted them on to Amazon as paid, like $1, $2, or $3 each. He even said, I believe, on Amazon, “You can read these for free on my site.” He said he just wanted to put that there. People still bought them, like all the time. Jonny Nastor: People want to consume it how they want to consume it. To go back, Jerod, how you said take your best blog post and put it. You can almost, I think, experiment with actually putting it live for SEO purposes. Plus, also right at the top or at the bottom put, “If you want this on a PDF with one other thing, with a cover sheet, and The Assembly Call logo or something.” To me, it seems ridiculous, actually, what I just said. You know what I mean? My chicken scratch interview sheet, to me, is completely like, “Why would you want this?” I’ve just actually logged in right now, and 11 people have downloaded yesterday’s episodes already, which is great. It’s been up for 24 hours, and 11 people have wanted to look at the chicken scratch that I wrote during it–which I’m trying to make them less chicken scratch now that I know people are going to be reading these. But it’s interesting. You can do both with things. They can be public as well as behind an email incentive. Some people just love the PDF version or a Kindle version of anything. It’s not hard. Well, it’s free to make anything into a Kindle version or a PDF version. There’s interesting ways you can play with stuff and just test it. If you have three blog posts that are all connected in a series, just put them all together at the top with a button of each one. Like, “Do you want all three together in a PDF straight to your inbox?” I bet you, people will say yes. 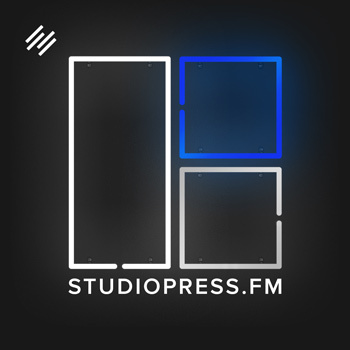 Jerod Morris: Well, the other thing you can do as you create all this stuff is just create a little content library that’s freely accessible–but it puts it all together in one place–so it’s very convenient for people to get. That’s a way to start building a membership, which can be the next step from your email list. Jonny Nastor: Exactly. That’s eventually what I would do once I have enough of all this stuff. 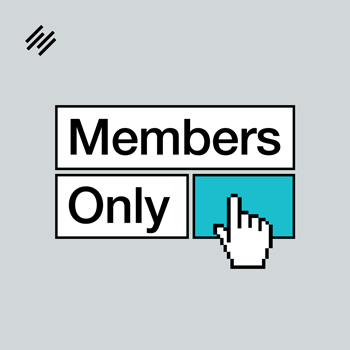 To me, which I think I’m like a lot of people, is all of the sudden putting a membership library area is like, “Whoa. That’s a daunting task.” It just feels like it. You’ve got to create all this stuff at once. To me, again, just being a lazy repurposer is “If I create 15 op-in incentives and put them all over my site, see which ones a work the best, then I’ll take 10 of those, and I’ll put those 10, those exact 10, and put them behind a pay wall.” Email things like MailChimp and stuff, if I go back and put in my email for something else on my site, it doesn’t add me to the list again. It just gives it straight to my inbox. It says “Thanks.” Gets sent direct to their email. It’s not like there’s this confusion, and like, “Oh, the person’s going to be on my list eight times.” No, it’s technology. It figures it out. It knows it’s there. It gives them what they wanted. It says thanks to them. They’re happy. They’re already on your list. Jerod Morris: By the way, you’re no longer defender of humanity. You’re now lazy repurposer, Jon Nastor. Jonny Nastor: Well, this is just something that I’m still learning, even with my book. Then, the more people I talk to, I realize that this is how the people that I’ve admired and what they do, this is the stuff that they’ve been doing. This is the stuff that I’m just realizing now that you can and should do because you only have so much time. You only have so many resources. You’re already creating such excellent stuff. Why try and create just more of excellent stuff, because that’s really hard to do, when you can just spread it out and make it more valuable to more people? Jerod Morris: So we’ve got our incentives. We have a compelling offer. Now, the next step is you’ve got to let people know about what you have, and you have to be bold about doing it. Now, there’s a fine line between bold and annoying. We’re going to get to that in a second. But if you don’t ask, if you don’t proudly let people know why they should be subscribing to you, what value they will get, they’re not going to. This took me a little while to get over. I was very bashful about asking for email addresses and for subscribers early on. I’ve gotten over it as I’ve seen, well, number one is you start to trust the value, and you really start to learn, like you were saying. A lot of times we underestimate the value of what we’re giving. We wonder, “Why would anybody want this?” As you see people get value out of it and explain that to you, one great thing to do is ask people for testimonials. I know last year, a big breakthrough that we made building our Assembly Call list is I sent out an email to the list that we had–this is back when it was just a few hundred–and asked for testimonials. I got so many responses. I was not expecting it at all. I was hoping for one or two. Got 10 or 15 of them. It blew me away. It really helped give me more confidence that what we were doing was valuable to folks. Of course, using those testimonials on our subscribe page was huge because it let people know that other people were getting this value out of it. Jerod Morris: So here are some tips now. You’ve got your incentive. You’ve got your offer. Now, how do you actually get people to sign up? That’s one, testimonials from people who are already getting value out of what you’re doing and even letting people know general numbers because there are strength in numbers. People don’t necessarily want to be the first person to join a group, but they like to enter a club where other people are there. Now if you go to AssemblyCall.com, you’ll see, “Join the 1,300 plus IU fans who receive our regular newsletters.” It puts that number on it. People see a little bit of specificity. They see that other people are there. That helps. The other two are urgency and scarcity. We hear those a lot. Now, how do you do that in the context of getting email subscribers? Well, for urgency, what’s in it for them to sign up today? Assembly Call, get our next postgame email, especially during the season because there’s a new postgame email every three or four days. Jonny, for you, it’s if they want to get the interview notes, well, if they’re listening to the episode right now, get the interview notes for this episode because those notes aren’t necessarily going to be relevant once they’re listening to episodes two or two down the line. There’s an urgency there to do it right now while it’s relevant or because they’re going to miss out on something if they don’t, which is the next one–which is scarcity. What will they not get if they don’t sign up? So, “If you don’t sign up today for The Assembly Call newsletter, you won’t get our next postgame email.” There are tons and tons of ways to use this scarcity. It’s basically the fear of missing out. People don’t want to miss out on something valuable. I’m not saying this to say that you use it to manipulate people. You’re just very clear with what they will get and what they won’t get if they don’t sign up. You use that urgency. You use that scarcity. You provide those strength in numbers and testimonials. I’ll tell you one other thing here that has helped is, underneath all of our subscription forms on The Assembly Call, I’m always very clear that, “Hey. We respect your email address and your inbox. We’re never going to sell it to anybody. We’re only going to email you when we have something worthwhile to say,” which I think has helped people just think, “Okay. This is a random sports email. Do I really want to get this? They’re going to respect my email address. They’re going to respect my time.” I think that has helped. All of those, putting all of those elements together in the way that they work for you and your show, and your understanding of your audience … I know that our audience, a decent portion of it tends not to be really sophisticated about online stuff–subscribing, downloading apps, and all of that stuff. That message is important to them and helpful to them. Knowing your audience will really help you know which of these elements will help you ask for the subscription in the right way that will compel people to take your call to action. Jerod Morris: When you’re at that number, you may not want to use the number. That’s where if you can get a couple of testimonials, where someone says, “Hey, I get great value out of this. I open Jonny’s email every single day.” Maybe instead of the number, you use a testimonial, so they see that someone else, like them, is getting value out of it. Then when the number reaches a point where you’re comfortable … I didn’t start doing the number until it was 1,000 plus. Then the number, with the comma, it just seems more impressive to me. It’s helped. I’ve seen a little bit of an uptick since we started doing that. Jerod Morris: Well, it’s going to depend on how you phrase it. Jerod Morris: If you say, “Join 67 people.” Say, “67 people are already on this list getting value every single week.” Make it exciting. Transfer your enthusiasm to other people. If you’re enthusiastic about the 67 people, you can get other people enthusiastic. If you’re ashamed of it, which you shouldn’t be, that’s great that you have 67 people. If you communicate that to your audience that hasn’t subscribed yet, you’ll find those other like-minded people. Jonny Nastor: Exactly. I guess I was just going back to the whole fact of don’t wait to do stuff with this list until it’s at 1,000 people. Do it when you have 67. You can do this. You can use all of these. Put the excitement behind it because it is, it’s 67 people. That’s a giant room full of people. Well, it’s not a giant room full of people. It’s a small room packed with people all wanting to hear from you. Jerod Morris: Yeah, I like that. Jonny Nastor: Definitely, definitely use that. There’s no harm. Put it up there for a week, and see what happens. Maybe it helps. Maybe it doesn’t. That’s what testing is. The Internet makes it easy. Having it in consistent, prominent spots on your website is important. Doing it in prominent spots on your show is important. I think also using social media strategically is important. At The Assembly Call, for example, we really focus on Twitter. We don’t do a whole lot on Facebook or the other ones. It’s been a time thing. We haven’t seen the engagement there yet. Eventually maybe we will. And also use the word ‘free’ in there for this subscription because that’s a big word that sends positive bells off in people’s mind. That’s the thing. Be consistent with what you’re doing because understand that the first time people see it, they’re probably not going to subscribe, but the fifth time, or the seventh time, or the 10th time, they may. You have to have that messaging out there so that they’re seeing that. Jerod Morris: You know what, she’s probably going to be a great subscriber now, too. Jonny Nastor: Totally. Exactly. That’s consistency in just doing it over. That’s all you can do. Jerod Morris: The consistency is key. It’s really, really key. Jerod Morris: Here’s something else, too, which is leverage your big moments. A big moment can be a link from another site, or maybe you’ve guest blogged, or you’ve been a podcast guest on another big show, and they’re sending attention your way. Understand whatever journey new listeners are going to follow to get to you, and make sure that they subscribe. If you want a great email call to action, by the way, The Art of Charm does a great job with their calls to action of getting people, giving people reasons to subscribe. Basically, they give you their best stuff. Listen to that show for a good call to action. Just a random thought there. Really, those moments, a lot of times, we may be able to predict some of them, not all of them. That is not the time to be bashful. That is the time to really let people know so that if they do like you and they want to take the next step, they know how. Again, you don’t want to be annoying about it. You’ve got to figure out a way to do it quickly, so it’s not taking you a minute to give your pitch. So practice that. Understand, when those moments come, how can you give a good, clean, compelling pitch in about 15 seconds, so it doesn’t disrupt everybody else’s experience–but it still makes the offer clear in terms of the call to action and what people should do. Jerod Morris: Let me ask you this question, Jon. This will be the last topic. We could talk about this for so long. I love this topic. Jonny Nastor: I know. Me too. Jerod Morris: To pop-up or not to pop-up? That is the question. I have my answer, but what is your answer? Jonny Nastor: My answer is an ever-evolving thing. I never had a pop-up ever until, again, two and a half weeks ago. That Top Ten Hacks goes out … you can click on the navigation menu and get it, or you can get a pop-up after 10 seconds or 15 seconds. The pop-up works really well. It just does. Jerod Morris: Well, it sure does. Jonny Nastor: Although it’s weird, it actually works way better on mobile for me, the conversion rates on mobile. It’s the exact same opt-in, like the same words, but it works amazingly on mobile. Jerod Morris: Now, what are you using for the mobile? Because I remember you’ve told me a couple of times that on one of my sites with the mobile, the pop-up didn’t work very well. Jonny Nastor: You use Sumo. It’s a weird one. OptinMonster. It used to be a plug in for WordPress. Now it’s a SaaS product, like software as a service. You pay monthly. It integrates with Rainmaker, WordPress, or anything, Squarespace. You put some code into the page, bottom of the page, or the site somehow. I don’t know. Somebody else did it for me, actually. Now I just create pop-ups and design them. There’s a whole bunch of templated ones. 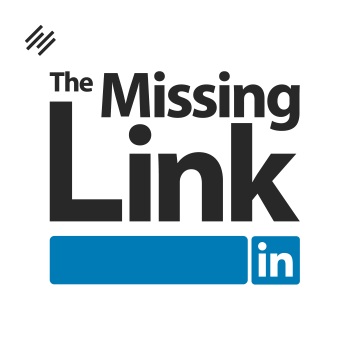 I use it for the links, too. I can have just like, “Click this link to get the show notes.” It goes to a pop-up. They sign up, and it shows me conversion rates. Looking right now, my regular pop-up has given me 2.87 percent conversion rate. Here I go with just telling you all my numbers again, and the Top Ten Hacks mobile is getting 6.02 percent conversion. Jonny Nastor: Exact same words. Exactly the same. That one’s only for mobile visitors. They get almost the same amount of traffic, actually. Like almost half my traffic, 47 percent or something of my traffic is mobile. It’s interesting. It’s really interesting. Well, one thing, it takes up your whole screen when you’re on mobile. It’s really there. It’s just a small pop-up in the middle when you’re on your desktop. Probably people have 20 different windows open, so they’re more distracted, I guess. I don’t think you jump around as much on a mobile device. A pop-up, something you just don’t want to see, just zoom, out. Go somewhere else. You know what I mean? They’re all over the place. “Oh to Skype, to Slack, to this.” On a phone, you’re just trying to read something. You’re interested in what you’re on, typically. Jerod Morris: I was against them for a while. I realized that, as a user, they stopped annoying me so much. I decided to give them a try. I’ll tell you what. We saw such a huge uptake in conversions with pop-ups. That’s to be expected. I think everybody knows that you’ll get that. There were two things I was afraid of. Number one, that they were not going to be quality subscriptions, and there was going to be a lot of churn. Number two, that it was going to annoy people. Well, number one has not happened. If your offer is really in line with your audience and then you deliver on that offer, you’re going to keep your list, and you’re not going to have that much churn. We’ve seen almost–it’s ridiculous–a 98 percent retention rate with our subscriptions on The Assembly Call, which is fantastic. Those numbers have sky-rocketed since we started using the pop-ups. In terms of annoying people, the only time people have let me know is when the pop-up will come on the thank you page, right after they’ve subscribed. You want to make sure that you have your settings right and that you’re not putting it on member pages or that it’s coming up too often. I try to use some sort of scroll indicator so that it doesn’t pop-up right when people come to the page. If they’ve scrolled 25 percent, or if they’ve … Sumo actually has one where they use their own algorithm or methodology to figure out if someone’s engaged on the page to show it, so it’s not necessarily a scroll percentage. I like to put it to where someone’s done something on the page to show a little bit of interest. Then the pop-up comes up instead of their first thing. The reason I do that is what annoys me is when I go to a site and the first thing is a pop-up, and I haven’t even had the chance to see what I was looking for. If I’ve gone a little bit, I’m engaged, and then the pop-up comes up, I’m much more receptive to it. That’s why I did that. Again, the only time people have complained about it is when it’s come up on a page that it shouldn’t. That would annoy me, too. Typically, these pop-ups will have settings that’ll help you do that. Actually, in Rainmaker Labs right now, there is a new pop-up feature that will be fully integrated into Rainmaker soon. Sumo is integrated into Rainmaker as well. There’s a lot of ways to do that in there. Jonny Nastor: They all have settings so that you can. It’s true. I would really suggest not making it so it pops up immediately because it’s annoying and because people are generally just … it’s a way to get deeper into you, your brand, and your content. They haven’t even scratched the surface, typically, as soon as they’ve landed. Even 10 seconds in, or 15 or 25 percent of the page, showing some level of engagement and then the right offer, it works. I think that they’re so ubiquitous now that it doesn’t really annoy people. They almost expect it. They just don’t expect it right the second they land. They don’t expect it for something that doesn’t make any sense to them. If you can get rid of both those things, I think you’re golden. From there, just start testing. You’ll find that it does work. Have More Questions About Email? … Let Us Know! Jerod Morris: This was fun. I like this topic. You listening, if you have further questions about email or a further angle, or maybe even something that we talked about today that you’d like us to turn into a whole episode so that we can go into more depth, let us know. Email is such an important part of building an audience, engaging with your audience, and eventually turning this show that you’re running into some kind of business. This is where it starts. This is so important. Let us know because we’d like to do more episodes about this, but we’d also like to tailor them to what you want to listen to. So let us know, and we can dive into some of these individual topics a little bit more. Jerod Morris: I do have a podcast recommendation for you this week. 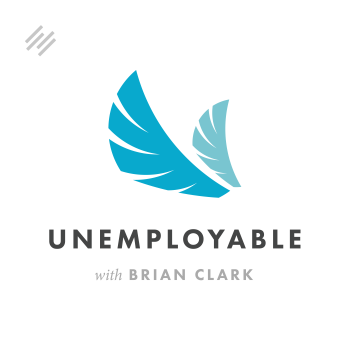 It is a podcast that I mentioned in the intro. 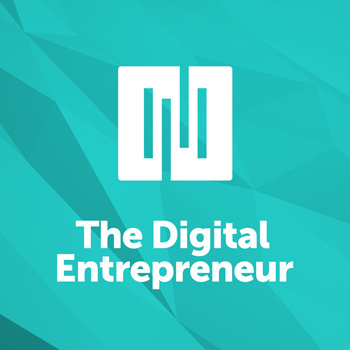 That is the most recent episode of The Digital Entrepreneur. This episode is actually coming out tomorrow. I’m actually giving you a bit of a heads up on the episode that’s coming out. It’s called Is Your Email Marketing Leaving Money on the Table? This was recorded last week. It was me. It was Brian Clark and Chris Garrett. 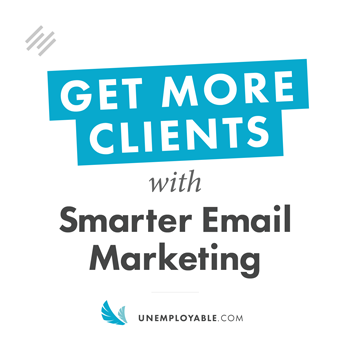 We talk about, again, some even next-next-level email tips, next level from what we talked about in this episode. We talk about tagging. We talk about segmentation. We talk about lead scoring. We provide some examples of smart marketing automation done right. Then, in addition, how you can actually use RainMail as an example to integrate all of this stuff together. Even if you’re not using the Rainmaker Platform, even if RainMail isn’t in your future, understanding the concepts, the bigger picture is just going to be really important. If you’ve got a lot out of today’s episode of The Showrunner, make sure that you check out tomorrow’s episode of The Digital Entrepreneur. 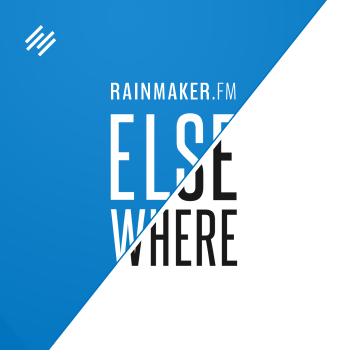 If you aren’t subscribed yet, just go to Rainmaker.FM, go up to shows, you will find The Digital Entrepreneur right there. 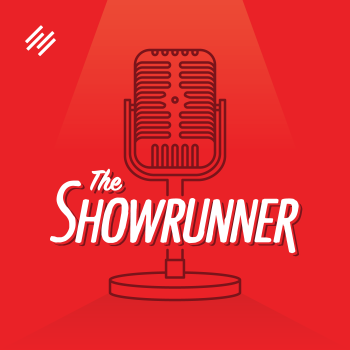 Jerod Morris: Hey, while you are there, while you are subscribing to The Digital Entrepreneur, make sure that you’re subscribed to The Showrunner. By that, I mean make sure that you’re on our email list. You want to be on that email list. We’re doing a lot of new things with the email list. We have our weekly newsletter that isn’t just an alert that there’s a new podcast episode out. We alert you to when we do our live Blab sessions, which are Q&As. Some of those are public. We do some just for our course members. Some of them are public. We love taking your questions in that setting. You want to get on there so that you know when those sessions are happening, so you don’t miss them because then you might miss your chance to get your question answered. Then, of course, we also have our ‘we highly recommend’ section where we find an article or some kind of tip, tool, tactic, or something that will help you take your showrunning to the next level. 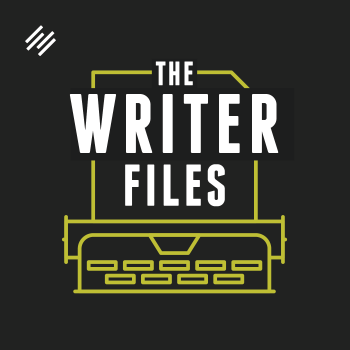 Make sure that you get that so that you can read those tips, put them into use, and keep going further with your showrunning on a weekly basis. Then, we’re still working on getting the mini courses up that we recorded several episodes ago. Those will be up. Once those are ready, we will let everybody know via the email list that you can get in there and learn that information if you haven’t heard those episodes yet or just see how we’re doing it. The whole reason why we did that whole series of episodes was so that we can show you our work. We want you to feel empowered and to feel enthusiastic about setting up a mini course, whether free or paid, for your audience. These are going to be free. It’s a way to further the engagement that we have with you, which we’re very excited about. Go to Showrunner.FM. Get on that email list. You’re not going to want to miss what we are sending out every week. All right, everybody. Thank you very much for listening to this episode of The Showrunner. I really appreciate it. I look forward to next week when Jonny is back and I have my co-host back with me because doing these episodes is always more fun when Jonny is here. All right, everybody. I will talk to you next week on another brand new episode of The Showrunner.